PICTURES DO NOT DO THIS ONE JUSTICE! Don't miss this immaculate custom on sprawling lot w/backyard oasis and extensive lanai w/every amenity imaginable, PLUS an approx 1300 SF 2-story guest house! Separated living area is ideal for home office, workout room, music/art room! Designer appointments throughout! Outdoor living area includes full kitchen w/stove, microwave, warming drawer, grill, bar, lounge seating, fireplace, pull-down shades, multiple fans for comfort, more! Primary home features gourmet kitchen w/Thermador appliance package, buffet area, deep island; open-concept kitchen/den with renovated space; updated hardware, fixtures, lighting; luxurious marble MBR bath with bidet; both formals; game room and three spacious secondary bedrooms up! 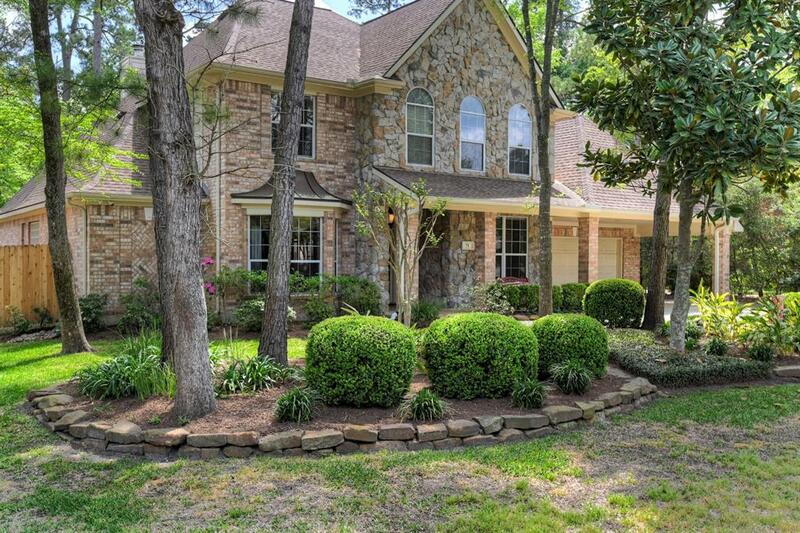 Lush landscaping front/back, sparkling pool/spa, fruit trees + dog run. Oversized 2-car garage with added storage, plus 2-car carport. Zoned to top-ranked schools! New roof on main house coming. New pool equipment. $25k in recent upgrades! 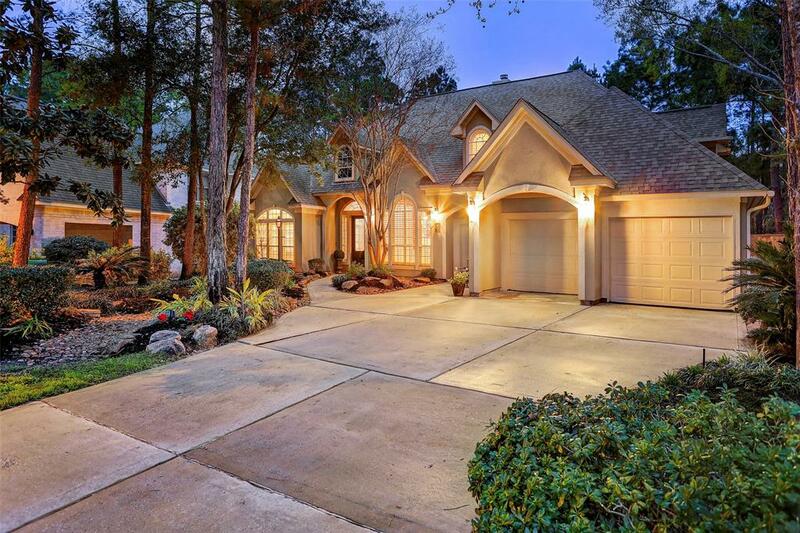 This gorgeous home sits on a small cul de sac in highly sought after Woodlands Village. The touches become evident as you walk through the door. The entry boasts brick floors and a high ceiling. To your right, you will find your study behind French doors and to the left your formal dining. The floorplan has two sitting areas downstairs each with their own designer fireplace. The kitchen is large and has lots of custom painted cabinetry. Off of the kitchen you will find a large laundry room/mud area with a sink and a full bath by the door to the garage. Downstairs also has a half bath, large master bedroom with an inviting bath. The closet in the master as well as the rest of the home are spacious. Upstairs you will find 4 bedrooms, 2 bathrooms and a gameroom. All the rooms are ample size. In the backyard you have so much space! You have a covered porch, a table under the trees, and a brand new cabana with TV. Pebble tec plaster, pool cabana and roof are all new as of 2018. Hurry! Wonderful David Weekley "Riverchase" Plan on a Large Private Wooded Culdesac Lot in Alden Bridge. This Lovely Home Has Outstanding Updates in 2018 Such As Updated Island Kitchen w/New White Kitchen Cabinets, SS Appliances, Countertops, Carpet, Paint, Laminate Flooring, Garage Door Openers and More. 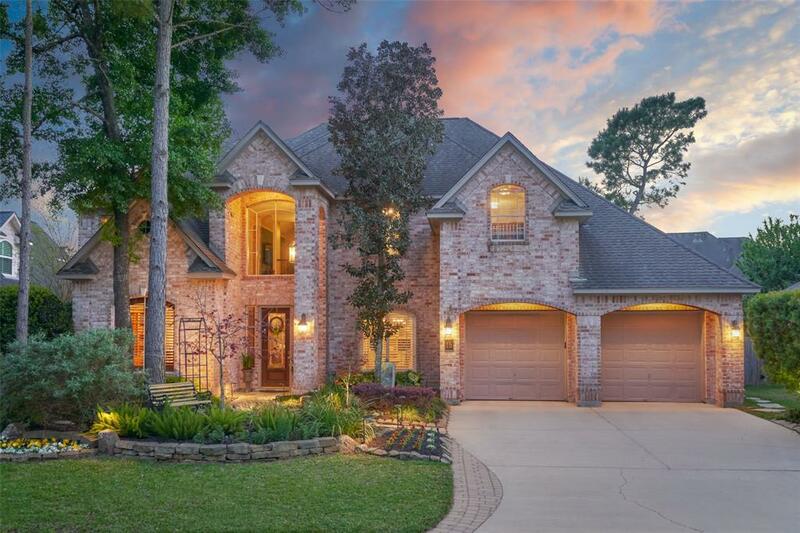 This Home was Built with All the Room Options Including 5th Bedroom, Extra Room/6th Bedroom on 1st Floor, Game Room & 4th Full Bath Upstairs for a Total of 5/6 Bedrooms, 4.5 Baths, Living Room Could Easily be Converted to Study. Two Gaslog Fireplaces in the Home; One in the Family Room and a Fireplace in the Master Bedroom. Upstairs Gameroom & Bedrooms Have a Door to Isolate Noise to the Upstairs. 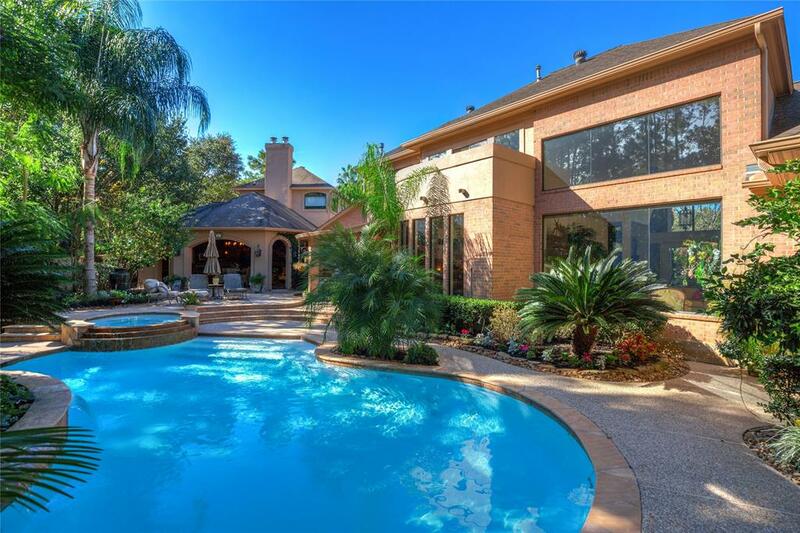 Huge Backyard is Perfect for Swimming Pool & Play! Amazing 5 bed/4.5 bath Emerald home right in the heart of the Laurelhurst subdivision. 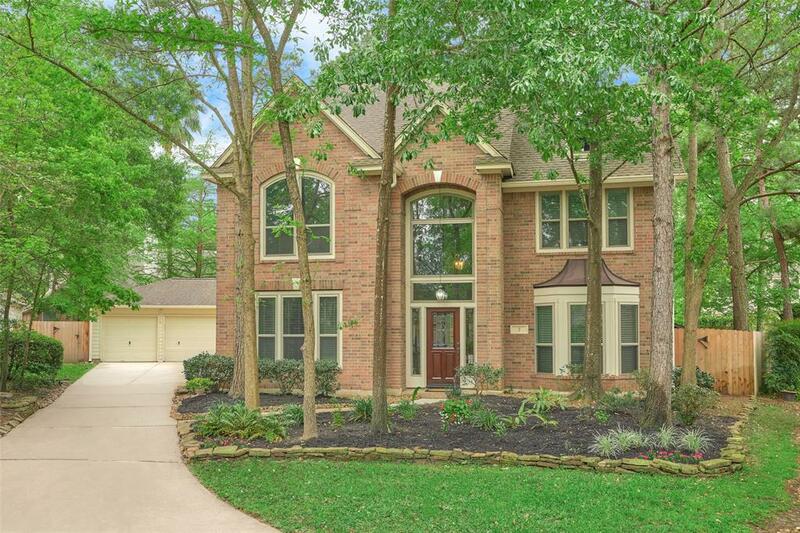 Walk in to a two story foyer leading to large family room with stone fireplace & built-in entertainment center. Kitchen features center island, breakfast bar, double oven, walk-in pantry, & plenty of cabinet space. Master downstairs with gorgeous recently remodeled bathroom & walk-in closet with built in shelving. In-laws quarters downstairs. 3 bed & 2 full baths upstairs with game room & giant attic. Crepe Myrtles & Ginger trees are just some of the lush landscaping views in the back yard with a beautiful pool/spa w/stone waterfall. Laurelhurst is a friendly, quiet, & welcoming neighborhood where kids ride their bikes, neighbors walk their dogs, & introduce themselves to you. Hit the endless walking paths to the market, shopping, restaurants, Lakeside Park, community pools, tennis courts, & golf courses. 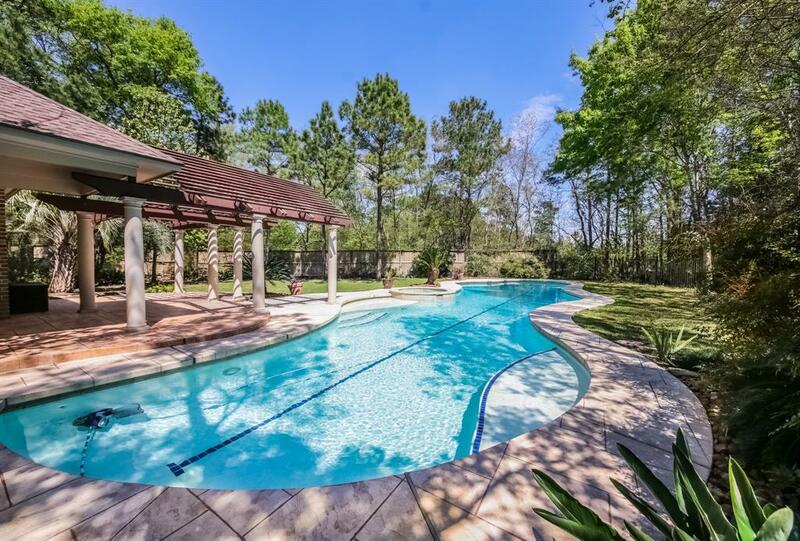 Close to Market Street, Woodlands Mall, Woodlands Waterway, & Pavilion for live entertainment. 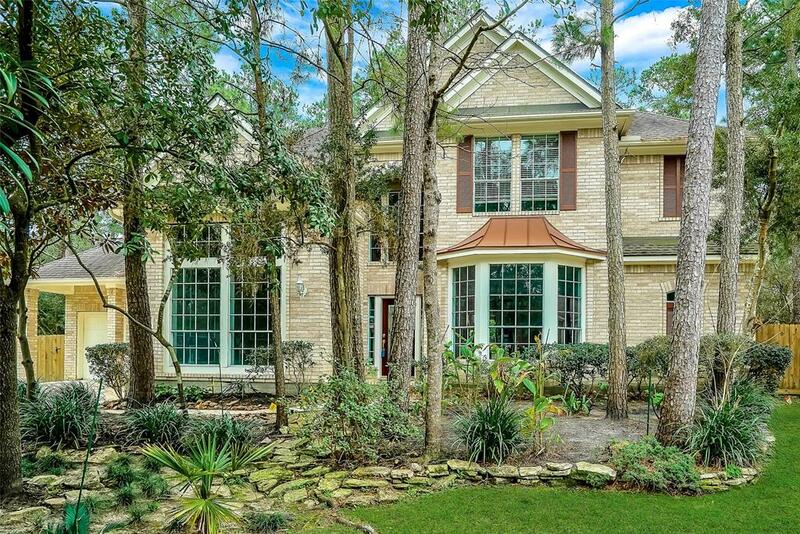 Beautiful, 4-bedroom home with pool/spa in sought after neighborhood of Green Gables. Great access in and out as well as throughout Woodlands. 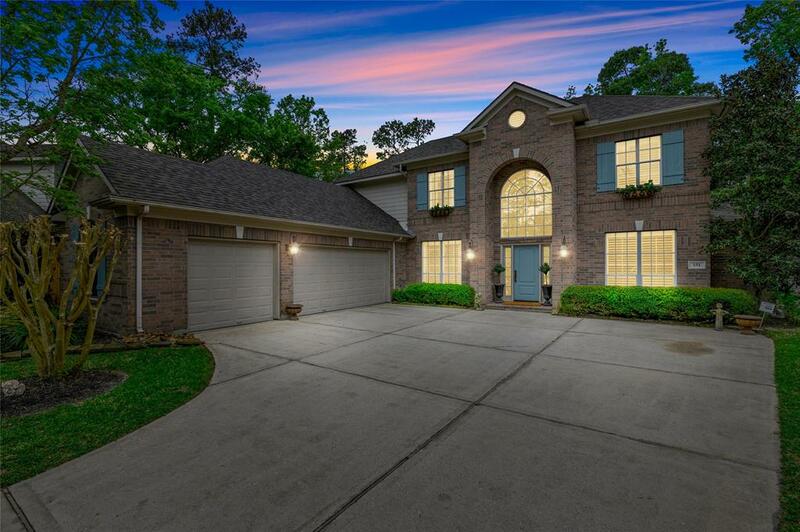 Efficient, open floorplan with all you'd want -- master down, gameroom up, formal dining and study, 3.5 bathrooms, closet built-ins, lots of storage/attic space. Updated, granite countertops in kitchen and all bathrooms. Plantation shutters throughout. View of backyard pool/spa oasis from breakfast area, den and master. Pebble Tec pool surface and pool has waterfall feature. A/C units only four years old. Interior walls have just been painted. Enormous deck perfect for outdoor entertaining. Tons of attic storage area. Don't miss secondary attic storage on 2nd level, perfect for seasonal decor. Walk to exemplary-rated Bush Elementary and Mitchell Intermediate. LOW TAX RATE!! HAVE IT ALL in this immaculate, updated home with true 3-car garage, oversized, cul-de-sac lot with sparkling pool & spa, fire pit + yard (rare find! ), and ready for immediate move-in! Nestled in picturesque Spring Hill neighborhood with its own central park, and walking distance to award-winning Bush Elem, popular park, pond, and community pool, and shops/restaurants, this beauty features double-pane windows, hardwood floors, modernized kitchen w/Shaker cabinets, updated pulls, fixtures & appliances, designer backsplash, custom island, master suite w/French door backyard access, his/her closets & oversized seamless shower! Hardwood treads & wrought iron spindles on stairs, huge game rm + spacious secondary bedrooms! Amazing walk-in storage + bonus rm with built-ins! Savor year-round living outdoors in heated pool & spa, and multiple venues for entertainment with custom deck, fire pit & green space on this ultra private lot! Low tax rate! 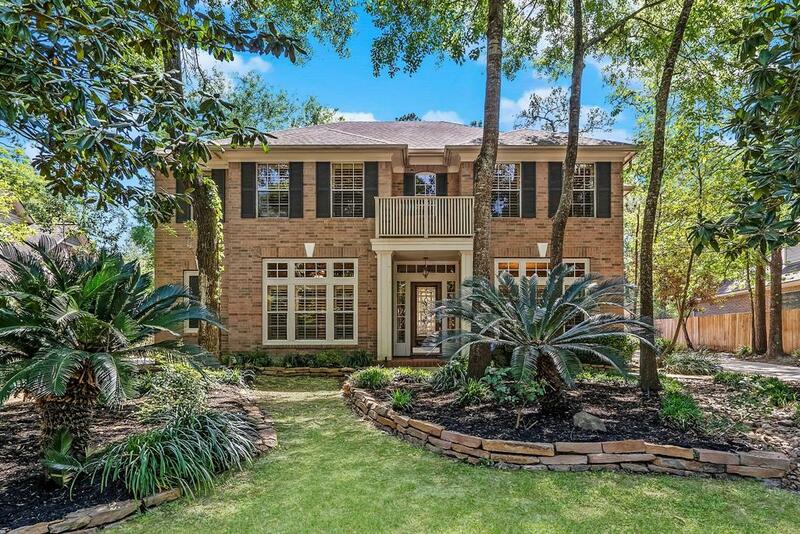 Minutes to I-45, medical district! A must-see!